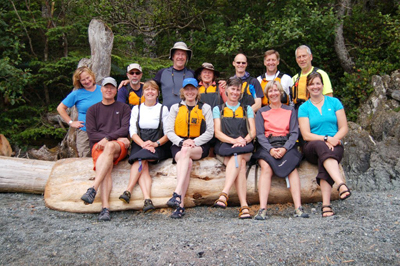 Sea Kayaking Group Rates - Vancouver Island Sea Kayak Tours. Simply email us, call us at 1-866-529-2522 (or 250-754-6300), or use our online inquiry form and let us know the number of guests anticipated in your group. If people within your group are paying individually, have them contact us. When you reach the required group size, discounts will be reflected on your final payment invoice. As an option, if you are the group organizer we can arrange a complimentary seat in lieu of discounts for individual participants. Give us a call if this option is of interest to you. Note: only one discount applies per guest and are not compounded with group or other discount offers.